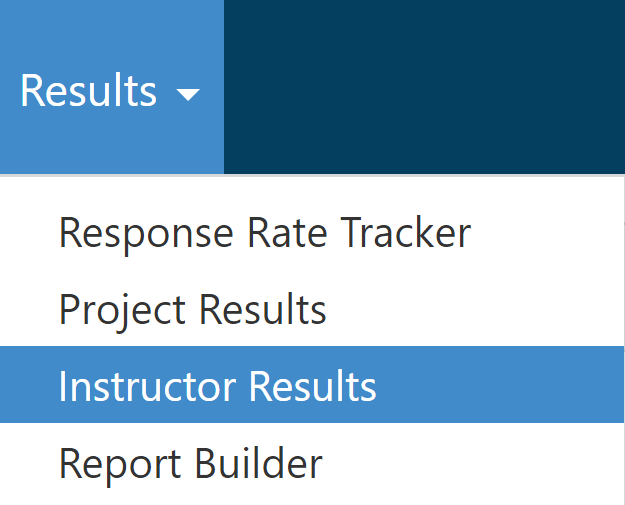 On the top navigation, click on Results; then, select Instructor Results. Under the Search section, filter by Project(s). Once the desired filters are set, click on the button. Search results appear under the Results section. 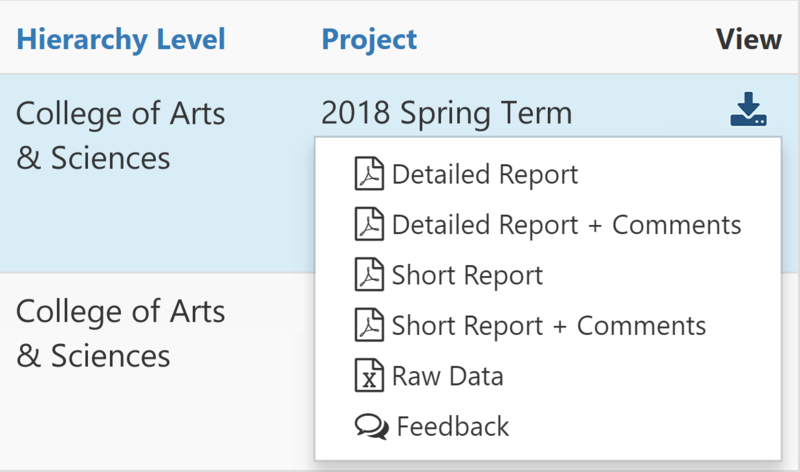 To view the available reports for an individual course section, click on the download icon , located under the View column at the end of the row of each respective course / instructor listed. Available report types are enabled / disabled by the EvaluationKIT Administrator. 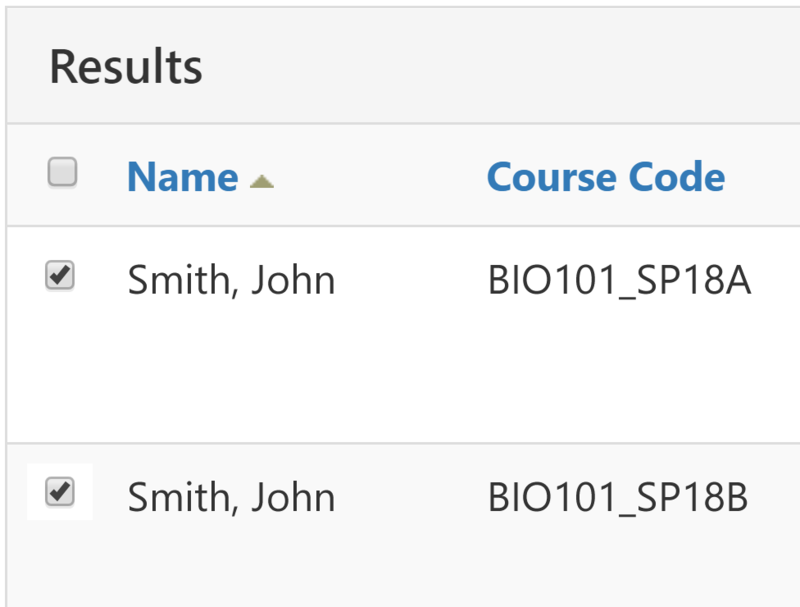 Under the Results section, select the respective checkbox of two or more courses. Click on to open the Batch Report window. Report Name: Enter the report name. Report Type: Click on the Report Type drop-down menu and select the desired report type. Once the email alert is received, click on the link to download the file(s).